The newspaper defended its cartoonist Mark Knight’s depiction of Williams and is asserting the condemnation, which has come from all parts of the world, is driven by political correctness. Sep. 12, 2018 6:10 a.m.
Williams has won the Australian Open singles title seven times at Melbourne Park, including in 2017 when she was pregnant. She is a crowd favourite at the first tennis major of the year, which is held each January at a venue that is within sight of the Herald Sun’s headquarters. 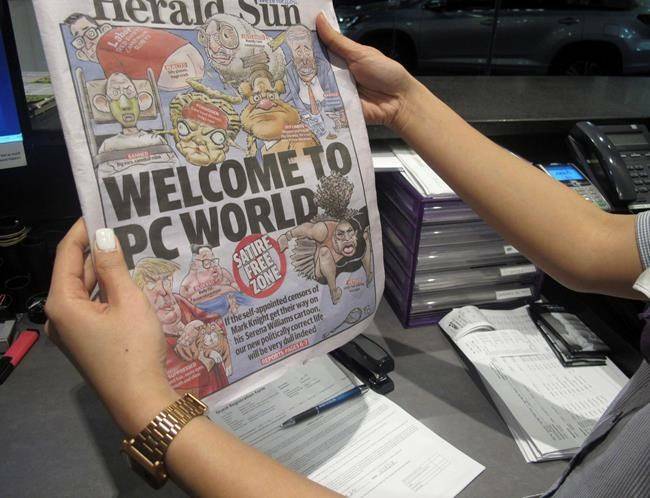 Australian writer Maxine Beneba Clarke said she believed the front page demonstrated a “misunderstanding” of the criticism levelled at the cartoon.